In cooler weather, a statement coat can elevate even the simplest of looks. 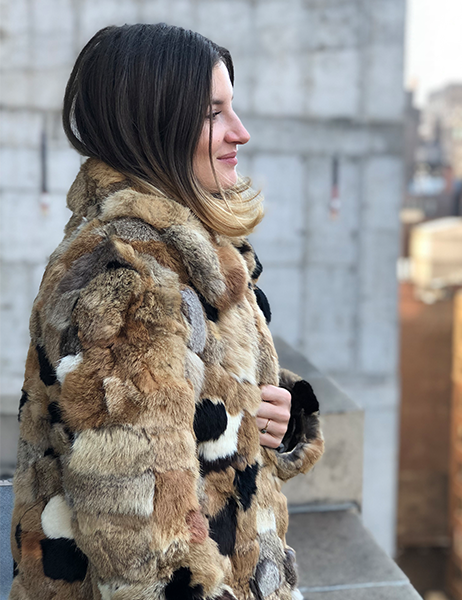 We caught up with Helen, our VP of Design on the vintage jacket that inspired our La Vie Patchwork Faux Fur Coat. Senior designer Capucine in her vintage coat. The idea was first imagined when Helen spotted our French designer Capucine in a vintage fur jacket at the office. 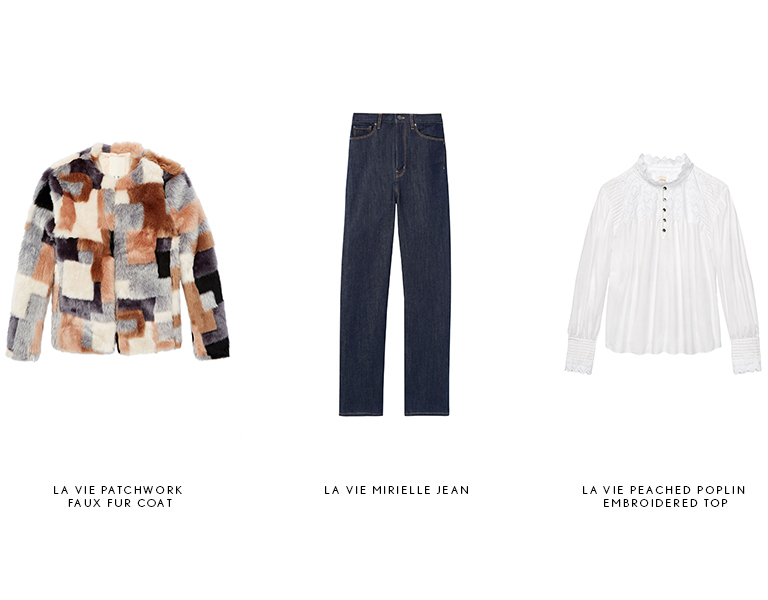 Capucine discovered the coat in a Parisian flea market and Helen loved its hand-crafted, distinctly ‘70s feel. Recreating the style for today, Helen simplified the design with a clean, collarless silhouette and magnified its signature patchwork pattern to highlight larger swaths of color. She preserved the neutral color palette of the original so the coat could mix and match in any wardrobe. "I love that it’s just as easy to throw it on for a walk in the woods or out to a party and it still feels special,” she says. 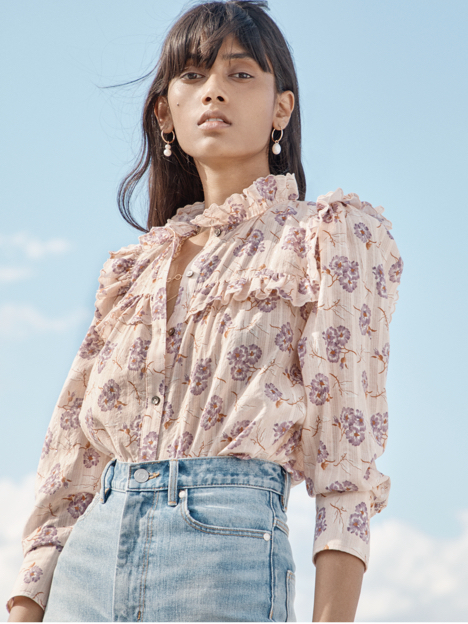 For casual days, Helen pairs it with a white top and jeans and for dressier looks, she suggests layering it over a metallic floral dress for a luxe print-mixing moment. Shop our La Vie Patchwork Faux Fur Coat and explore our full selection of jackets and outerwear.